The use of mobile devices to surf websites is growing at a tremendous pace. More people use their smart phones to browse the net than their desktop. To address this touchable shift of internet usage, traditional website is required to be upgraded with a responsive website design. Responsive web designing creates dynamic changes to the appearance of a website depending on the screen size and orientation of the device being used to view it. Responsive Website is highly beneficial for the Business today. It is flexible, cost effective, and easy to manage and also recommended by Google. Building a responsive website is basically aimed at making an online presence. The Webmasters Group provides website design and development services with quality and offers website with the optimal user experience to achieve your business goals. The Webmasters Group is well place to design a responsive website. Our designers have the skill to design a responsive website that is SEO friendly too. 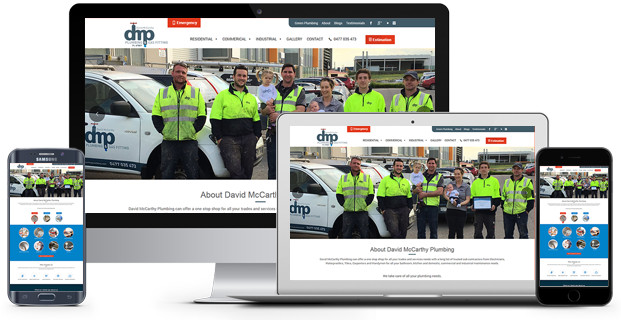 Our team ensures that you get a high quality and well tested website that is flexible enough to run on any device. The Webmasters Group is a perfect place to build your website in the way you expected it to be. We give wings to business with the launch of a professionally designed website. Webmasters Group digital agency are known for world-class website development, building marvelous websites .In short span of time Webmasters Group digital agency has established itself as leading company in field of Website development and design. Shopping online is growing rapidly across the world. In the growing age of technology and Business, everybody wants to expand their business that would reach out to the maximum profits. With a Smartphones launch, the Mobile Website Development industry is experiencing a boom. Mobile Web Design and Responsive Website Development are increasing very fast. Webmaster group developers are experts in building flexible and user-friendly applications for the mobile. With the advent of the smartphone, necessities and requirements of an everyday life are swiftly changing and business people need to tailor the right applications that deliver the right information at the right place at right time. See how optimized it is for one keyword or phrase.